This is an actual five stars review on amazon from a customer who bought two silk ivory lanterns on our website. " 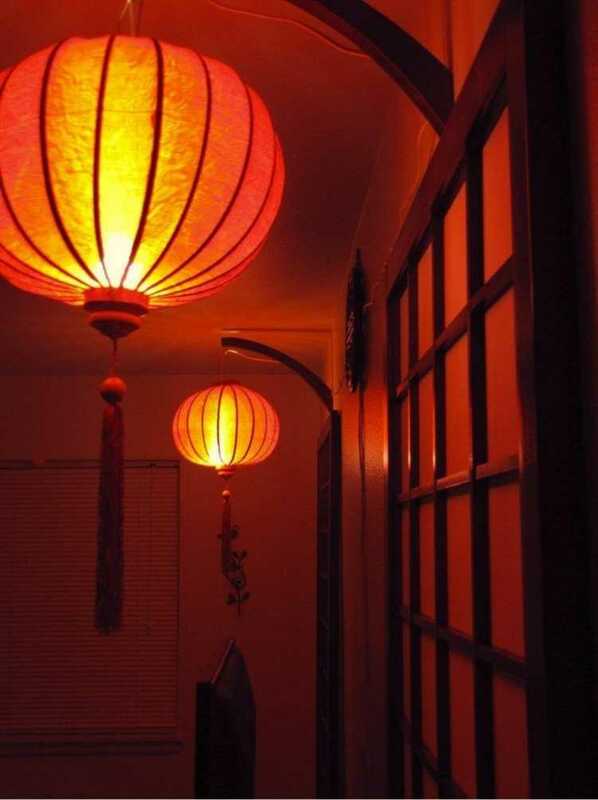 I really like those lanterns. The fabric's patterns are quite detailed. As for them not staying in shape, as pointed out by other customers, I think they might be something wrong. I have two of these and both of them stay in perfect shape. The upper ring is made of wood and there are two brackets that are under quite a bit of tension that you need to push underneath that wooden ring. You need to be gentle when doing so, but you need to put the metal piece in place firmly. I have have used the same of these lanterns indoors for years, they have survived several moves and have not changed a single bit, and have never spontaneous collapsed. They are actually so sturdy and firmly in place that collapsing them takes a bit of an effort. You actually really have to be _intentional_ when collapsing them or the wood would rather break than them collapsing by themselves. They are amazing. Just be sure you have the right technique to unfold them. If that is all that was amiss in some of the other reviews then giving these one or two stars is pretty harsh ... The picture I have added is from my apartment. There, they are already two years old."